A better way to mount the electrical boxes inside your house. All power outlets need to be tamper resistant to meet building code. AFCI is needed on almost all 15 and 20 amp circuits. 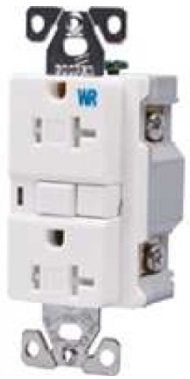 "As of the 2014 NEC, AFCI protection is required on all branch circuits supplying outlets or devices installed in dwelling unit kitchens, family rooms, dining rooms, living rooms, parlors, libraries, dens, bedrooms, sunrooms, recreation rooms, closets, hallways, laundry areas, and similar rooms and areas." All GFCI power outlets to meet building code must be tamper resistant. 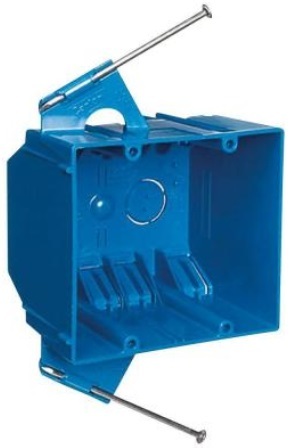 Typically you use a 20 amp GFCI as the first socket in a chain and then connect lots of regular power outlets to the load terminals of the GFCI. Purchasing details are here . In bathrooms and other wet rooms (as well as outside) it is good to use a waterproof version. It does not have to be 20A (15A would do) but I use 20A). Typically regular power outlets are 15A. I prefer the more modern "Decora" rectangular style. 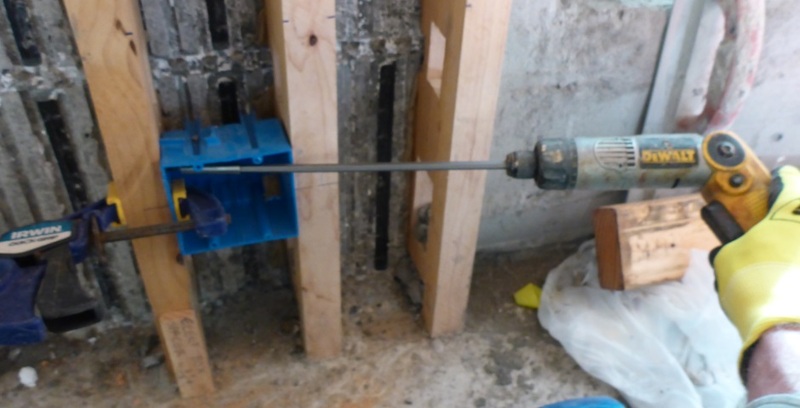 To meet building code, they must be tamper resistant. You can get USB outlets for charging phones etc., but I prefer to use plugin wall warts. It is best to use home automation switches (eg Insteon), but if you need a less expensive alternative then use regular Decora rocker switches. You can always replace these with home automation ones later. Use plastic electrical boxes in the walls because it avoids having to ground them. Use the deepest possible electrical boxes so you have plenty of room. Put an S in the wire before entering electrical boxes so you have some extra cable available if ever needed in the future. It also avoids having to accommodate extra wire length within the box. Label all wiring with labels designed for the purpose that will not fall off with age. Take photos of wiring before putting up the drywall. I also write in the Romex jacket using a ballpoint pen. Cut off nail lugs with a chop saw. Get rid of the little positioning lugs using a chisel. Measure half way down the sides and draw a line with a square all the way up the side to the top. Half way is about 1-13/15" from the edges, but measure from both faces to get high accuracy. Screw the electrical box in place using 1-1/4" screws with the box center line lining up with center lines drawn on 2-by drywall supports. Needs to be 3/8" proud of the 2-by surface. Use a 3/8 thick piece of wood as a template. Use a clamp too get the box positioned on the height line and with the right protrusion. Use a long extension on the screwdriver so the angle is not enough to cause the box to get pulled back by the screw tightening. The screw makes its own hole in the plastic and then into the wood. Two screws are used on each side so the box is rigidly supported. Details of the screwdriver extension are here .